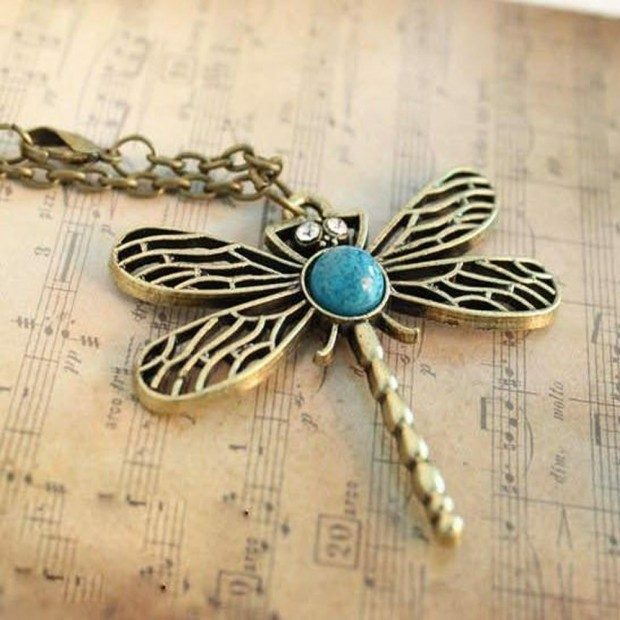 Retro Hollow Out Inlaid With Turquoise Dragonfly Necklace Only $2.62 Shipped! You are here: Home / Great Deals / Amazon Deals / Retro Hollow Out Inlaid With Turquoise Dragonfly Necklace Only $2.62 Shipped! Calling all dragonfly fans! Right now on Amazon you can get this adorable Retro Hollow Out Inlaid With Turquoise Dragonfly Necklace for only $2.62 shipped! This would make a wonderful gift idea or addition to your own jewelry collection. Package Includes : 1PCS Necklace . it is fantastic to buy one for yourself or give one as a gift! About us (Acxico), Professional factory of Accessories, welcome to our store for more choices with best price.